St Margaret’s churchyard is an oasis of calm in the middle of Wolstanton, and has been in use for over 500 years. It contains many graves of local and historical interest, including the notorious ‘poison’ grave (where the gravestone names the victim’s suspected murderer), and the grave of Dr Henry Faulds, medical missionary and the pioneer of fingerprinting. The upkeep of the churchyard is shared between the church and the local authority. Maintenance of the church’s section of the churchyard (mainly the newer area further away from the church) is overseen by a small committee of volunteers from the local area. Finances are always tight, and we value the annual contributions made by the ‘Friends of Wolstanton Churchyard’. 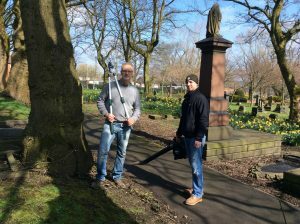 The maintenance of the closed area of the churchyard (mainly that surrounding the church itself) is now the responsibility of Newcastle Borough Council. 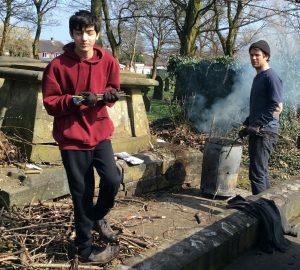 You can offer practical help by joining our Community Volunteer Working Groups which are held (weather permitting) from 10.00am on the second Saturday of each month. You might like to check with us if you are unsure whether the group is running on the day you wish to attend.